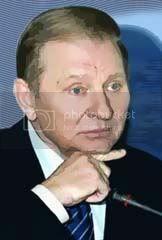 Kuchma's former bodyguard was named as the source of the secret recordings, which Kuchma claimed were computer-generated forgeries. But his popularity at home and abroad sank as many others were convinced and as further revelations came from the tapes, if noticed a bit late. In 2002 Washington was alarmed to learn that the tapes also revealed an apparent transfer of a sophisticated Ukrainian defense system to Saddam Hussein’s Iraq. As a result, Kuchma was boycotted by the US and other Western governments for a time, and Ukraine turned increasingly to Russia for support, saying the country needed a “multivector” foreign policy that “balanced” Russian and Western interests with, hopefully, Ukraine’s own. He also started referring to Russian as “an official language,” which was lucky news for Viktor Yanukovych, whom Kuchma appointed as Prime Minister in November 2002. Yanukovych hailed from Donetsk, the Russo-centered eastern capital of industry and was extremely unpopular in Kiev. Yanukovych was a criminal thug in his youth, accused of massive corruption in power, and while fluent in Russian, Yanukovych was considered clumsy with the Ukrainian language. The West’s planners frowned and turned back to their plan books. In the context of a great game with Russia, the emphasis on Ukraine is understandable - it’s the biggest thing one can take from Russia besides Russia itself. It seems a stretch to even attempt such a move, but apparently the successes of Belgrade and Tbilisi had left some people feeling very cocky. One should not be surprised if the western planners would play this touchy game a bit more carefully than they did in Georgia. 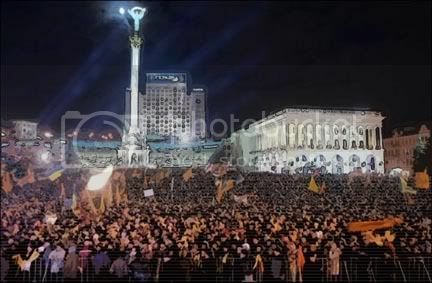 Indeed, promoter of “democratic transformations” Michael McFaul noted that “in the years leading up to the 2004 votes, American ambassadors in Ukraine insisted that no U.S. government money could be provided to any candidate.” Instead, McFaul explains, the US simply urged the Orange Revolution on from the sidelines as they chose their own leaders and their own direction. Directly U.S. sponsored education seminars for activists have not yet been reported to my knowledge. Richard Miles was not made ambassador there. But while the U.S. government and its linked NGOs emphatically deny that they were involved in any real way, the same thumbprints are all over this case.